Like the Black cake, the Jug Jug, and the Green Peas and Rice. Barbados sorrel drink is a must on the Christmas menu. Everyone seems to go out of their way to get a taste of this local brew. Its a huge tradition because although the sorrel fruit is available all year it is mainly used at Christmas. Sorrel is more than a great tasting drink, it's rich acid taste contain a number of beneficial vitamins and minerals. So if you are visiting the island look out for this refreshing local drink during the holiday season..
Wash sorrel and cut off the sepals. Place then in a saucepan and boil with spices and salt for about one hour. Strain liquid from boil sepals, add sugar to taste and refrigerate. The second method you can use is put sepals into a jar with boiling water and let steep for about a day. Then place in glass pitcher add sugar, a pinch of salt and spices cover tightly and leave for four days until sorrel is bright red. When cold serve chill. Barbados Food... Traditional Recipes You'll Love! Both recipes are found in our electronic print guide to preparing Barbados Foods. This recipe guide include many of the island most love recipes, including the recipes for the much love Barbados Macaroni Pie. 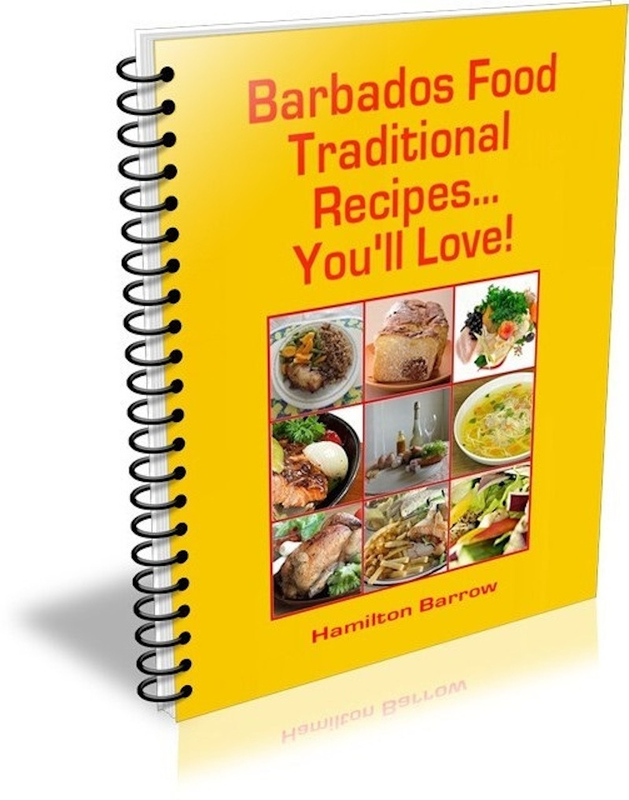 Each recipe contain detail instructions on how to prepare and cook the Bajan way. The recipe e-book is available for download and print immediately, you can print the recipes as many times as you want and get FREE Updates every time we make changes to this book!.